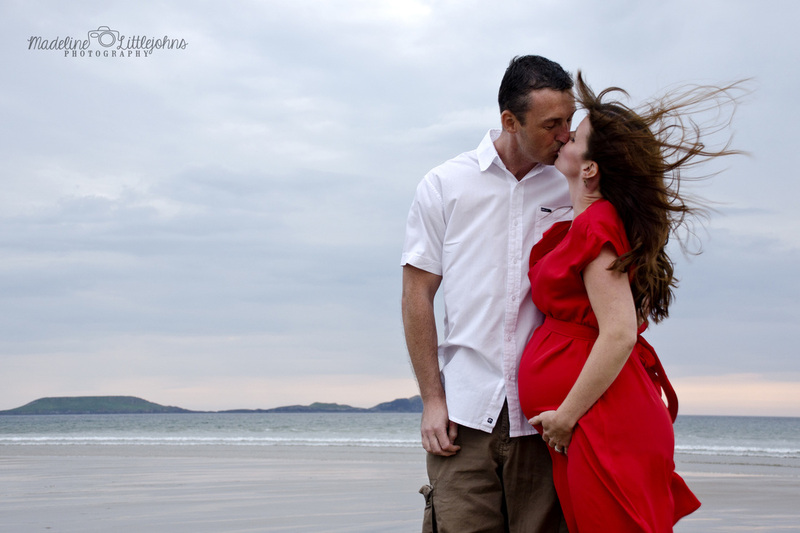 Remember Menna and Simon from their maternity session at Llangennith beach? Well a few months after that session this gorgeous boy arrived! Dewi was 5 weeks old by the time we did his ‘newborn’ portrait session and he was determined to stay awake for it. So we got plenty of shots of these beautiful eyes! Menna and Simon were having building work done at their home so we had their session in a lovely wooden lodge at Rosedew Farm in Llantwit Major, which was also where they got married! Oh I love how both their sessions took place at locations that mean so much to them! To be able to capture these intimate moments was such a privilege. You can just feel the love here can’t you?! Menna, Simon and Dewi were so comfy and snug on that bed, you’d never know it was absolutely pouring with rain outside! I don’t think any of us really wanted to leave at the end of the session! There’ll be more photos from this session in another post soon; there were so many that I love that I can’t fit them all in one post without it getting too long! Even though I’ve lived in Swansea for 10 years there are still apparently loads of places I haven’t visited! It’s shameful I know! So in an attempt to start rectifying the situation my husband and I took Rhys out for a walk in Clyne woods last weekend. I can’t believe I’d never been there before! I felt like a little kid walking down the main path and seeing all the little tracks leading to who-knows-where; I just wanted to go off exploring! It was still quite wintry-looking when we were there and I just can’t wait for spring to arrive so I can go back and see it in all its glory. One area will be filled with bluebells for heavens sake! Bluebells! How did I not know this?! Please tell me someone out there wants a photo shoot in a field of bluebells! They normally come out in late April/early May apparently, so if you’re thinking about having a session round that time and like the idea of a bluebell background in your photos please get in touch! Debs and Mike decided to have a relaxed maternity session at home, so they made themselves comfy on the sofa for a few shots. 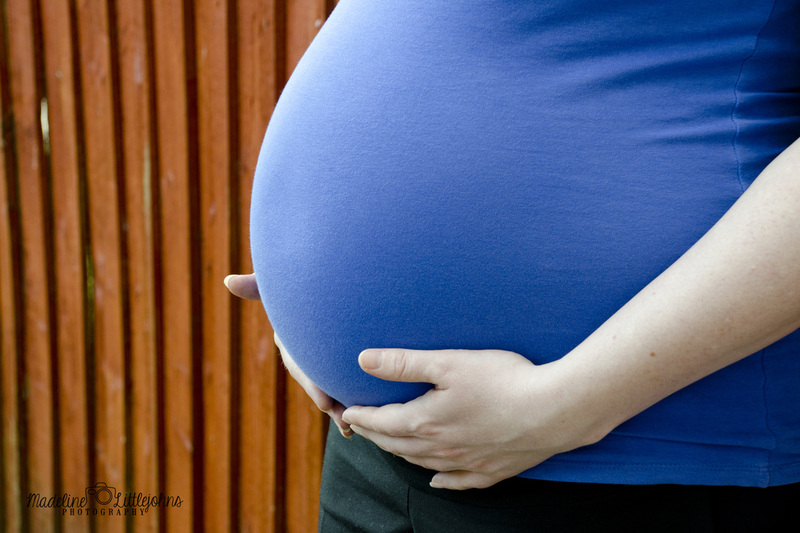 This is a great option if you’re getting towards the end of your pregnancy and are starting to feel uncomfortable or tired when you’re on your feet for too long! Then we popped out to their garden to make the most of the afternoon light and get a few close ups of Debs’ beautiful bump! Please feel free to leave a comment below or get in touch if you’d like to have a chat about a maternity session of your own! 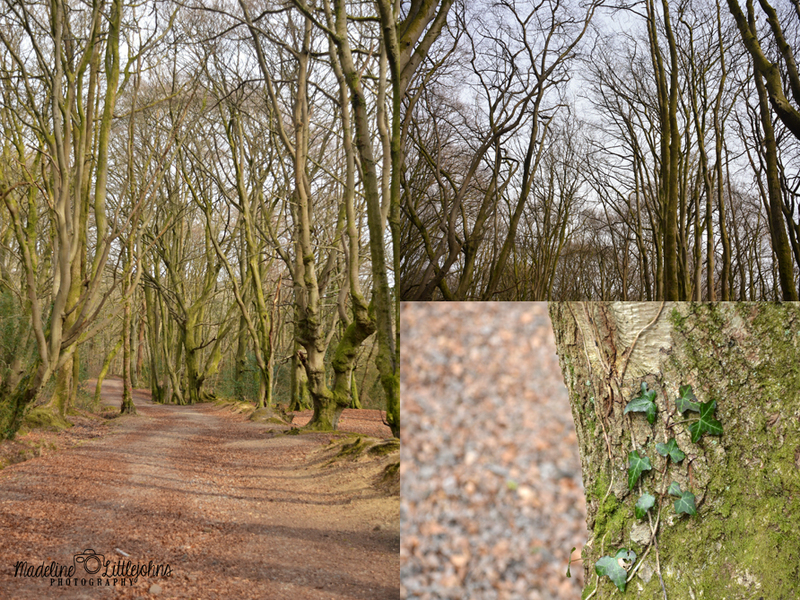 If you’ve ‘liked’ my Facebook page then you’ll already know that I’m attempting a project 365 this year. I had a go in 2012 and lasted, hmm, about a month? So I’m really pleased that I’ve kept it going so far this year! I won’t put all the older photos up on the blog, but from now on I’ll aim to put a set up each week. So, without further ado, here are my 365 photos from the past week. 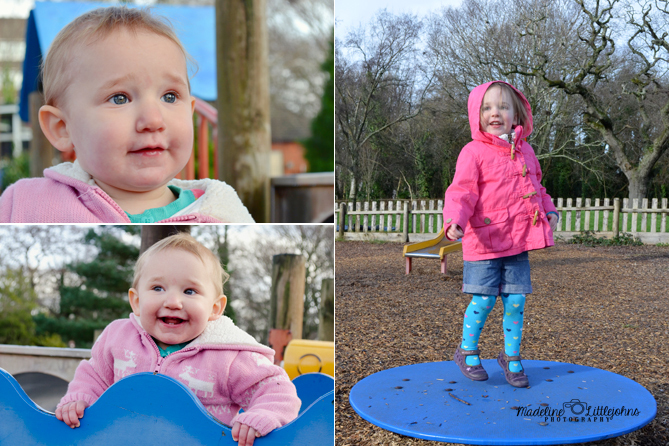 This was a week with a poorly toddler so we didn’t venture too far from home. It was a week of cuddles, quiet indoor play and lots of clothes and bedding to wash! 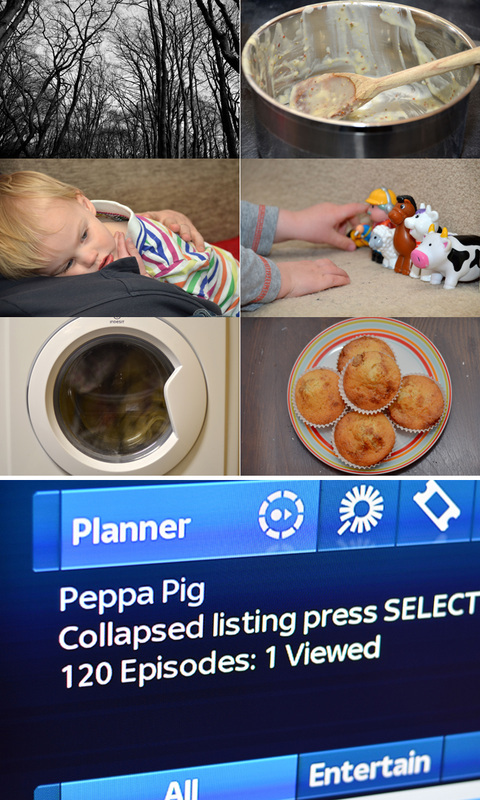 Oh, this was also the week that Rhys discovered Peppa pig so I set the Sky box to record series. It may have got a bit carried away. If you fancy checking out the rest of my project please head over to Facebook and ‘like’ my page! Last January my brother and his family came to Swansea for a visit so we took the opportunity to have a little session! 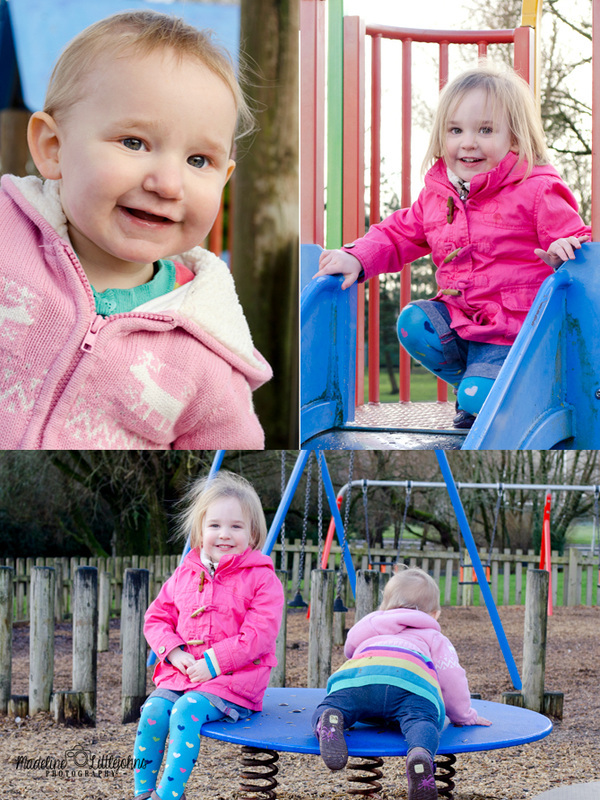 We went out to the pub on the pond and let the girls have a run around the park which resulted in some lovely images of them and big appetites all round, ready for a pub lunch! These two girls are just so much fun, so full of energy! And I love the outfits Sarah picked out for them to wear, they co-ordinate brilliantly and the colours are so vibrant, they show off their personalities perfectly! 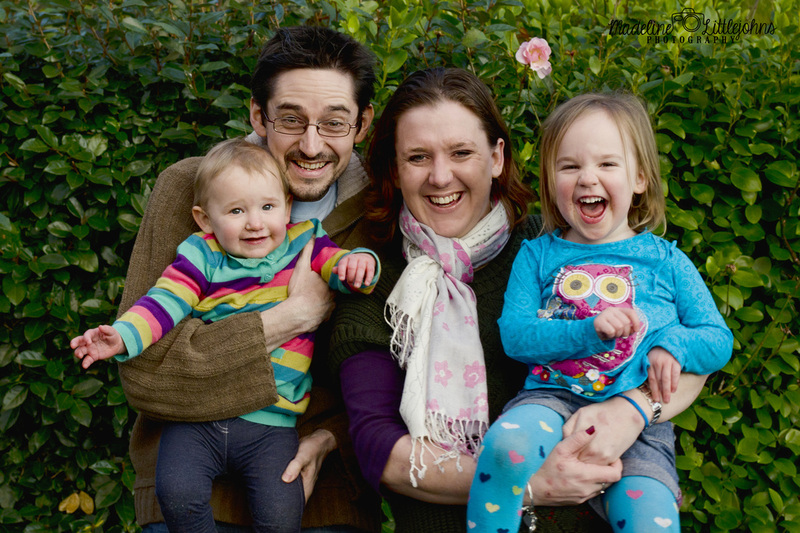 We took a few family shots later in the day which I absolutely love. No “say cheese!” smiles from this family! 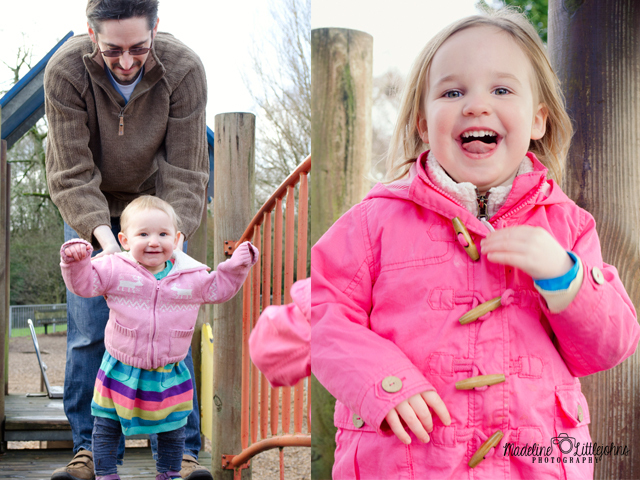 These kinds of family sessions are so much fun; I love just letting the kids do their thing! When they’re busy playing they don’t have time to be shy and worry about ‘having their picture taken’. If this sounds like the sort of session you’d like for you and your family please get in touch. 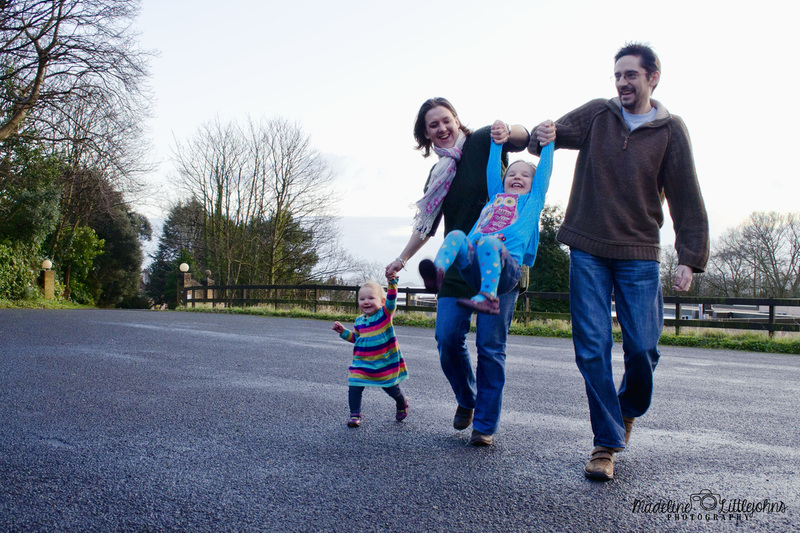 We can create a session that really reflects who you and your children are and have a lot of fun at the same time! If you’re looking for something crafty and a little bit different to do with your family this weekend you could head to the National Waterfront museum and letterpress your very own postcard. Or if you fancy something less taxing they’re also showing the film ‘Cars’ at 2.30. You can get a few more details HERE. You could also go down to the Gower Heritage Centre in Parkmill to catch the end of their Easter fun fortnight. There’ll be races, demonstrations and a bouncy castle as well as baby animals to meet. More information HERE. But if you’d rather stay at home then 3 men and a baby is on Film4 at 16.40. You can’t go wrong with a classic like that! And it’s always fun to spot the ghost! 10 random facts about me, so that you can start to get to know the girl behind the camera! 1) I’m the youngest of 3 children. 2) My sister and I were both born on Friday the 13th. Oooh, spooky! 3) I love Swansea! 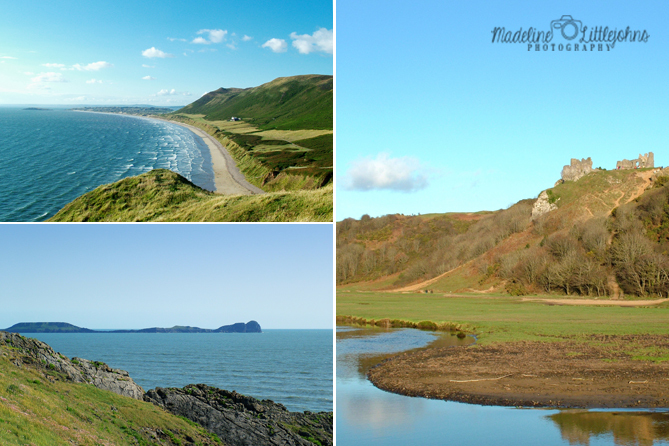 I moved here in 2000 from Kent to study at Swansea Uni and never left. Classic story of girl meets boy really. I met my husband a few months after graduating and there was no leaving then. I can’t imagine living anywhere else now, as far as I’m concerned Swansea has everything you could want or need! 4) I sometimes feel like the perseid meteor shower is my birthday present from the universe! Hmm, does that make me sound a bit self-important?! Well, either way, I love heading out to the beach and watching the shooting stars. In fact, I wished for my son on one of those stars. 5) I absolutely loved being pregnant. I loved feeling my babies kick and squirm and especially loved feeling them have the hiccups! I read everything I could about pregnancy and birth and hope to share some of that info on this blog. 6) I am yet to make it through an episode of ‘One born every minute’ without crying. Seriously. And I hold my breath until I hear the babies cry when they take their first breath. 7) I have watched the Gilmore Girls more times than I should admit. And Alias. And Buffy. I’ve just finished working my way through the Dawsons Creek boxset (thank you late-night-in-bed-feeding sessions!) but I have a feeling it’ll be one I come back to. I love the comfort of watching these familiar series (serieseses?!). 8) I call woodlice ‘Cheesy bugs’. No idea why. But everyone I grew up with calls them that too. And I fully intend on teaching my children that that is what they’re called! 9) I honestly worry that my baby brain will never go away. I don’t think logically any more and it drives my husband mad! 10) I blame my best friend from Uni for turning me into a coffee addict. I never liked coffee or tea until she came along! Now I can’t get going in the morning without a cup and I get a kicking headache if I do somehow miss my fix! “Oh, I can’t stop drinking the coffee. I stop drinking the coffee, I stop doing the standing and walking and the words putting-into-sentence doing” - Lorelai Gilmore. I met Menna when we were both studying at Swansea Uni. We had stayed friends via Facebook after we graduated but had only seen each other once since then. So I was really excited to meet up and take her maternity photos for her. We decided that a beach session would be a good fit for her and her husband Simon and she was really happy when I suggested Llangennith as this was where he proposed to her! It was so nice to go to a place that had such meaning to them. 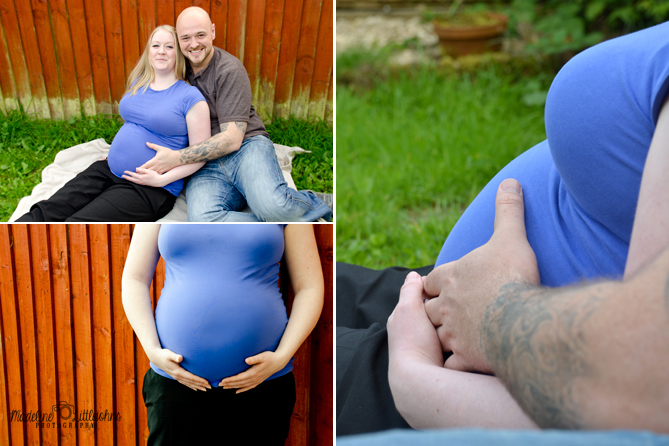 Menna had chosen a fab red dress for her session which helped create some striking images and when she changed into her stripy top we were able to create quite a different look which really showed off her gorgeous bump! Photos of Baby Jones to follow soon! Please feel free to leave a comment below or use the contact form to get in touch if you’d like a session like this for yourself – I’d love to hear from you! Hi! Welcome to my little corner of the internet! 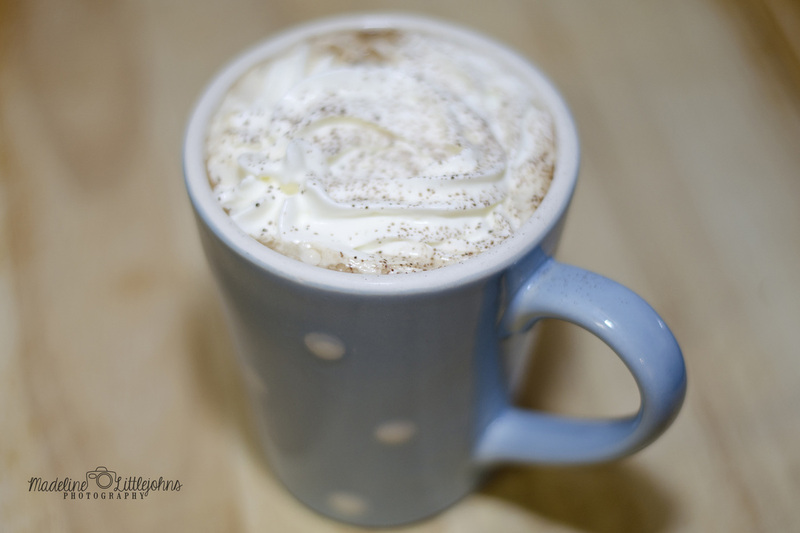 This is my first blog post for Madeline Littlejohns Photography but there’ll be a lot more to come very soon. 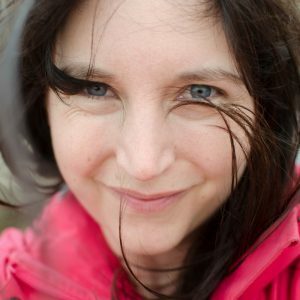 I hope that through this blog you can get to know me and my work and if you like what you see I would love to get to know you too and work with you to capture some great pictures of you and the people you love.